Let us return back in time, a little over two weeks ago: I was still in Star City and had just passed the first of the final exams along with my crew. I will now tell you about the second and third exams. The second exam is held in the Russian segment and lasts a whole day as you simulate typical activities are carried out in orbit. 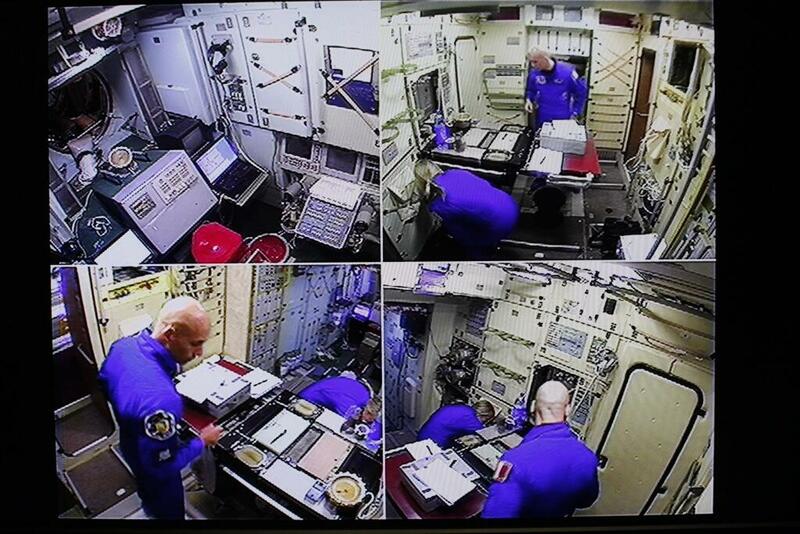 The crew – us three astronauts – work according to a programme established by the ground control team. We conduct various routine activities such as inspections and maintenance jobs. During the simulation, there were of course a number of failures. 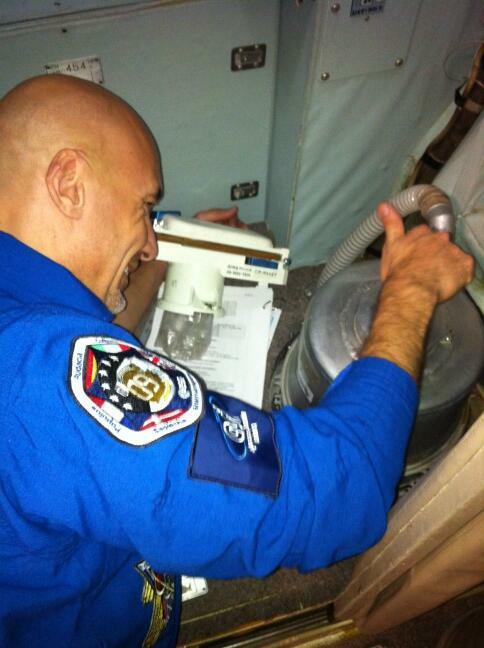 In the middle of the exam the Russian toilet was damaged and I had to be the ‘space-plumber’ – not such a glamorous job but a very important one nonetheless! At the end of the day I identified a much more serious failure: a depressurisation. We solved this problem by following procedures, supported by the control centre. We shut down several airtight doors to identify what environment was losing atmosphere. In every exam we have a debriefing and this one went very well. For Karen and myself this is a relatively simple test to complete because the bulk of the work for the Russian crew. The cosmonauts on board are responsible for most of the activities in the Russian segment of the International Space Station. We can help if necessary but for the non-Russian crew the exam is less complex.